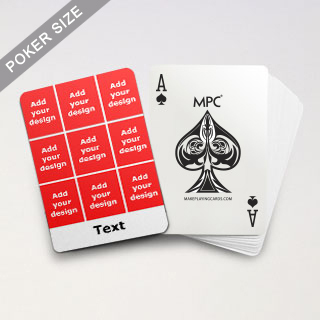 To create your custom poker can be easy. First, pick your desired template. Second, upload photo(s)/image(s) and add text. Finally, review your customized design and confirm. The whole process can be completed in less than 15 minutes. After confirm order, just sit back and wait. Depends on where you are and the delivery options you choose, your decks will reach you in just a few days. "I am extremely happy with your production.. the web site was easy to configure and upload. i appreciated how fast and quickly the cards were printed and shipped. the quality is excellent..Superb i can say... All my friends know about your great service and professionalism. thanks to all at making playing cards..wishing you a bright new year 2016.. looking forward to place more orders... all the best and thanks again, "